And we all immediately felt better. 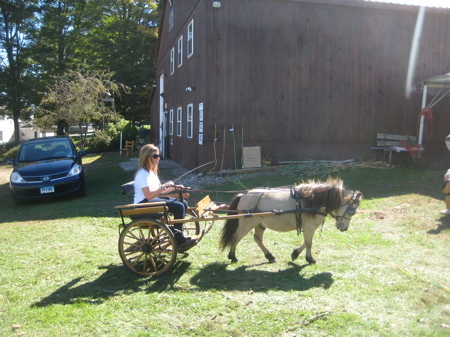 An attractive blonde woman tooling around in a mini cart prodding a mini horse with a mini whip? Yes. Around and around in circles she went. We stared, mesmerized. Where were we? There is a fifth dimension beyond that which is known to man. It is a dimension as vast as space and as timeless as infinity. It is the middle ground between light and shadow, between science and superstition, and it lies between the pit of man’s fears and the summit of his knowledge. This is the dimension of imagination. 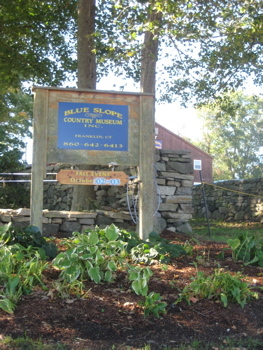 It is an area which we call “The Blue Slope Country Museum”. 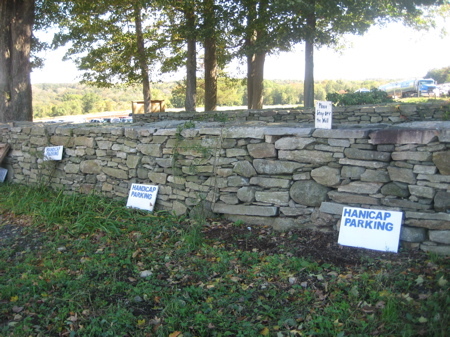 We parked and walked over to the welcoming area, past the “Hanicap” (sic) parking area and paid admission to their annual “Fall Festival Tyme.” This is really the only day you should visit this place, as I believe you must schedule any other museum visit with them directly. And I’m not really sure you want to be here alone. 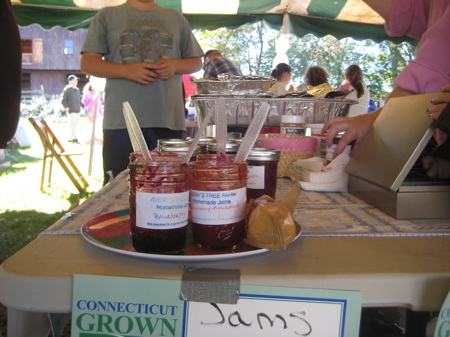 We checked out the festival first and it was pretty much a scaled down version of one of Connecticut’s many fall town fairs. I have never enjoyed the whole town fair thing (I didn’t grow up here and they didn’t exist where I’m from), so the idea of a smaller version of them appeals to me. This one had a decidedly “museumish” feel to it which again, I had no problem with. 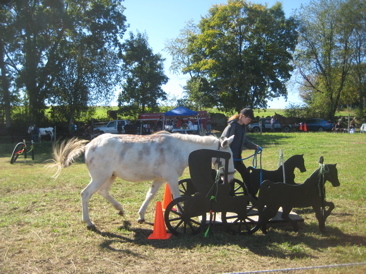 They trot out lots of antique farm machinery (which may still be in use here in Franklin) as well as a bunch of weird pack animal competition rings. Frankly, I don’t understand the whole putting donkeys through their paces spectacle, but a small crowd was gathered watching exactly that. What was really weird about this part of the “Festival Tyme” was that many of the animals seemed untrained and not ready to participate. This, of course, made the whole thing ten times more amusing to a jerk like myself. Little horses, donkeys, whatever – they’d chomp at their bits and then go on their own merry ways, completely ignoring their masters. It was great. Listen, I misspell words. And there are a billion typos on this site. 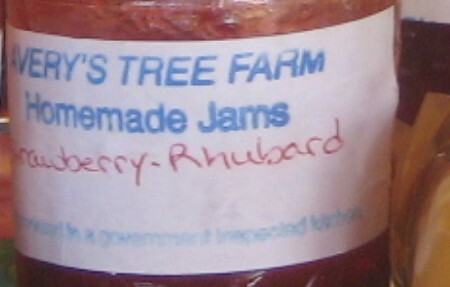 But really, if I grew rhubarb and made jams for profit and brought them out to the public… I think I’d know how to spell rhubarb. But again, I guess I’m just an elitist or something. Anyway, the “Festival Tyme” also sells plenty of protein for your lunch: the usual hot dogs and hamburgers and whatnot. I just remembered I also had some clam chowder which was pretty good, but I think it was probably just a bunch of cans dumped into a giant pot. I’m sure mama cow would disagree with the “humane” part, but then again, she’s a cow. The farm also raises goat. You can buy a whole goat for only $2.50/pound. That would be a live goat, for all you out there interested in slaughtering your own goat for your goat meat stew. They do sell an impressive array of cuts and offal too. 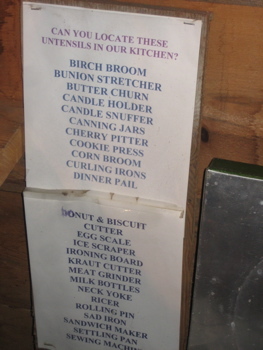 They also sell maple syrup and soil and something called bag shavings. I’m gonna leave that one alone. What I’m saying is, I don’t want to touch anyone’s bag shavings. Enough of her. 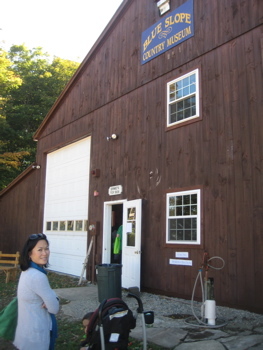 NOW let’s go in the giant brown barn which, much to my surprise, holds a huge collection of antique tools and farm equipment in collection. Up first, as I’ve learned all farm museums almost always have on prominent display, fencing! It’s almost become cliche at these places: Old tractor, check. Old corn-cobber machine, check. Old milk bottles, check. 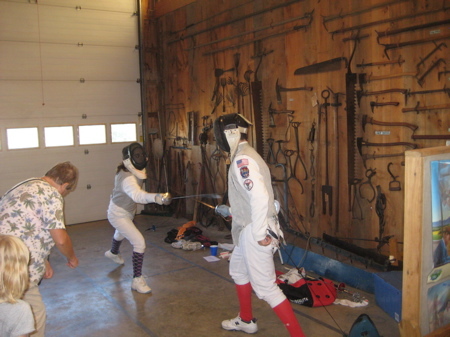 Fencing demonstration… um, check? I don’t know about you, but if some dude in a mask with a flimsy little epee was lunging at me in that room, I see a few things on the wall over there I’d rather fight back with. Especially if they’re wearing knee high argyles. I should also note the major fencing fan on the left there. She was totally into it. I moved along to the blacksmithing area and quickly realized that unless you’re me, you really only need to visit this place to get your fill of antique farm tools and old timey “country life” paraphernalia. 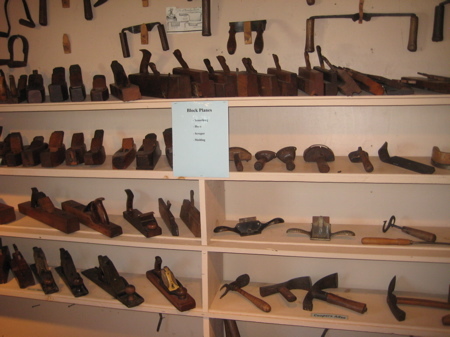 There are thousands of implements here. Blue Slope has an impressive array of milk bottles. 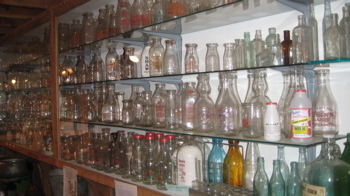 I’ve seen many milk bottle collections in my day, and this may just be the finest yet. 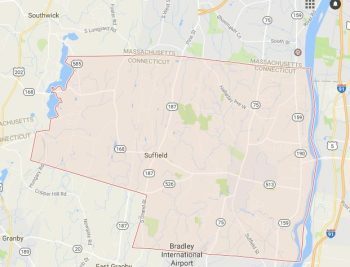 Moreover, they have some stuff from my neck of the woods including a crate from Auer Farm in Bloomfield and one from Guidas in New Britain. 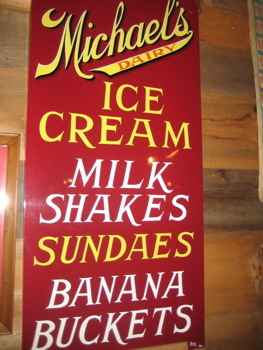 There is also a really cool explanation of this Michael’s sign here. It was done back in the 30’s free hand, with a special process that took great skill by one Mr. Ralph Lathrop. 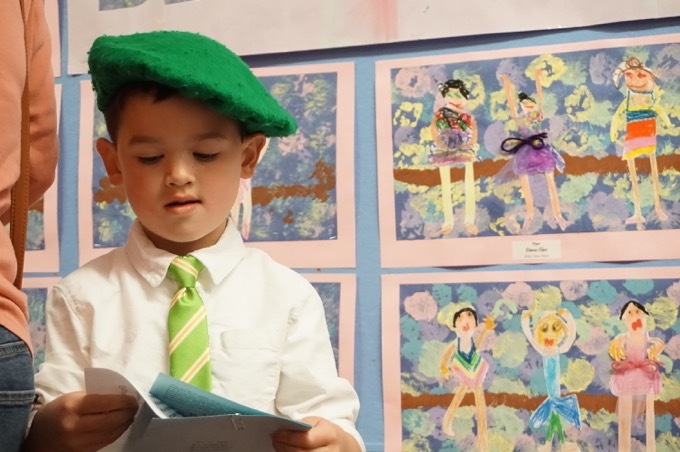 I’m not going to explain the process, but know that it was hugely labor intensive and took great skill. And involved gold leaf. I will, however, do you the pleasure of transcribing some of the museum’s history from a sheet of paper I took a picture of there. 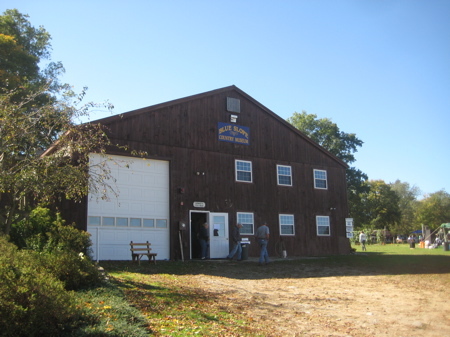 The family owned farm began in the 1940’s with Alfred and Vivian Staebner, parents of Ernie Staebner, And and Beverly. Ernie took an interest in farming as a young man stuck with it throughout his life. 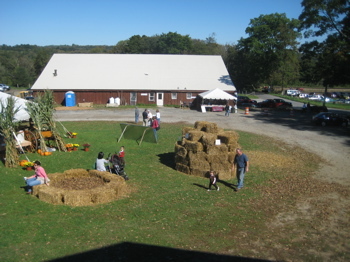 Ernie and Sandy purchased the Lathrop Farm next door in 1973 and thus it grew to the farm we know and enjoy today. In the 1940’s Alfred Staebner found an abandoned crowbar on the farm. He used this implement until one day it broke. 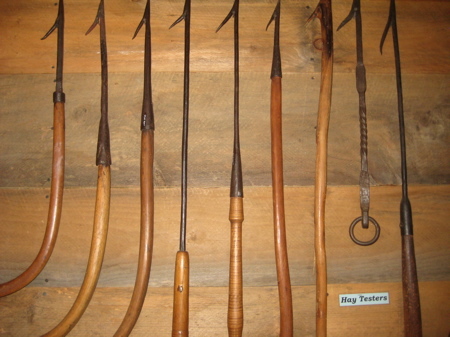 Buck-shot fell from the hollow barrel and it was discovered that the “crowbar” was forged from a Revolutionary War musket. 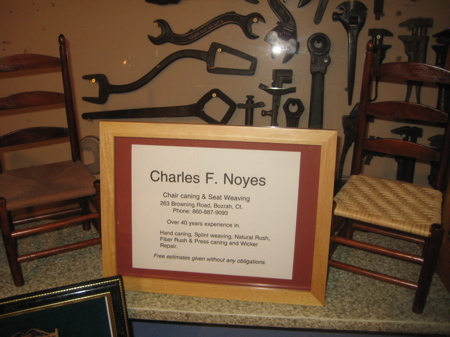 The family surmises that was the beginning of his interest in old tools. 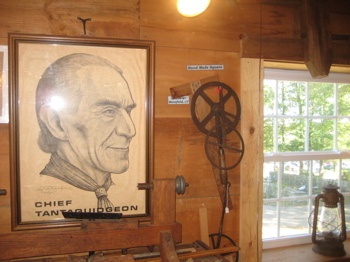 He started collecting craftmen’s tools and farm implements as well as a sizable library of agricultural volumes. He soon became a highly regarded authority on agricultural history. 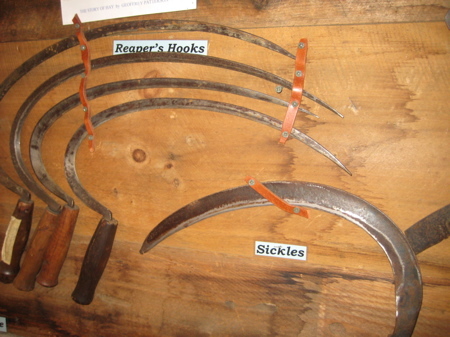 After the passing of Alfred Staebner, Ernie acquired the tool collection that became the nucleus of the Blue Slope Country Museum. The building we know as Ernie’s Toy Box was erected in 1990-91 to house the collection. In time it developed into the museum it is today. 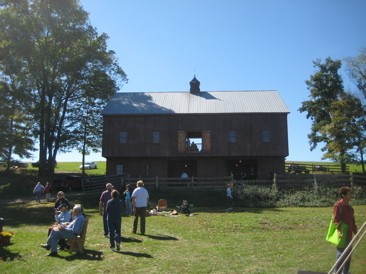 To me, the coolest part is that a bunch of their Amish friends from Pennsylvania came up and rocked a real barn raising of the Amish style bank barn in 1998. 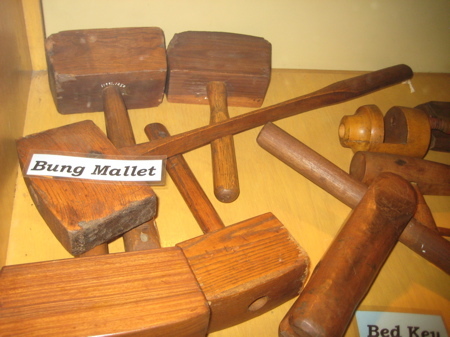 You know what they say… A party ain’t a Blue Slope party until they break out the bung mallets. 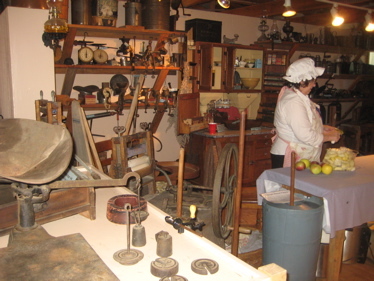 There were all sorts of interesting things upstairs including a country kitchen with a billion old items that time has forgotten. 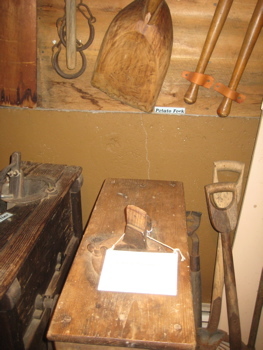 Although, true story: I thought one thing there, called a bunion stretcher, was pretty hilarious for some dumb reason. I told Hoang (who suffers for her heels) about it and she mentioned that “duh, they still make them.” So guess what? With her birthday mere days away I went online and ordered her up a nice new bunion stretcher. I know, I know… I’m a romantic. Because Damian was all done with his day, I couldn’t hang out among the tools for too long. There wasn’t much I haven’t seen before, but I was hugely impressed with the sheer size and organization of the collection here. And I’m absolutely sure that if I had the time to have had a guided tour, I would have heard some great stories about the Staebners and how certain pieces of the collection came to be there. I had a good time at Blue Slope. There was a barn with some cows in it that we also checked out and I must mention that they host what appear to be fun square dances and marshmallow roasts a few times per year. I get personally invited to each one… though I’m not quite sure I will after this. I think I enjoyed your virtual tour as much as I would an actual visit. 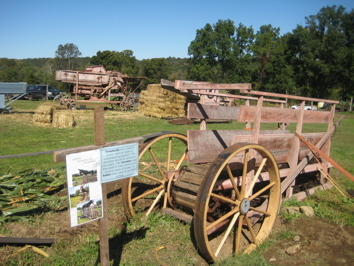 If you’re into antique farm implements, you should check out the Orange Country Fair in October (or maybe you have already — I didn’t search your website). So you can save five bucks a pound by bumping off your own goat. Not a bad deal for the non-squeamish. In reality, I would guess that most of the live goats are sold for Halal slaughter.